Hurricane Harbor is a chain of water parks that are part of the Six Flags theme park chain. Although the parks are not identical, common features include a variety of body slides, speed slides, tube slides, wave pools, lazy rivers, and shopping areas. Currently there are seven locations in the United States and one in Mexico. If you’re planning a trip to Six Flags Hurricane Harbor, let Via Trailways help you get there! We want your trip to be as stress-free as possible so you can focus on having a relaxing and fun-filled time. 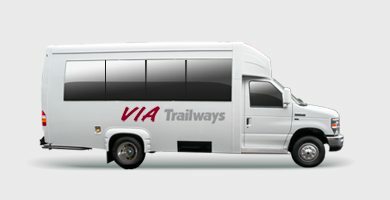 When travelling with Via you’ll be able to relax in one of our comfortable, secure charter buses after a long day of thrill rides.